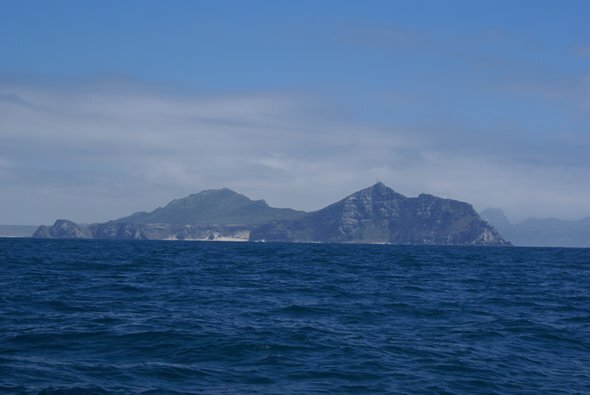 So having climbed Cape Point and the Cape of Good Hope on land, we've now rounded both by sea. The weather changes so rapidly here that even when the winds are light, within minutes there could be a gale blowing. So you have to be on your guard. We were lucky and had a very quiet day, both in terms of swell and wind. Cape Point to the right and the Cape of Good Hope to the left - it's much lower.